Notes on business hours: Please text before coming. Sometimes we are out for coverage especially Saturday and Sunday. We do corporate, weddings and events video specializing in audio-visual presentations. 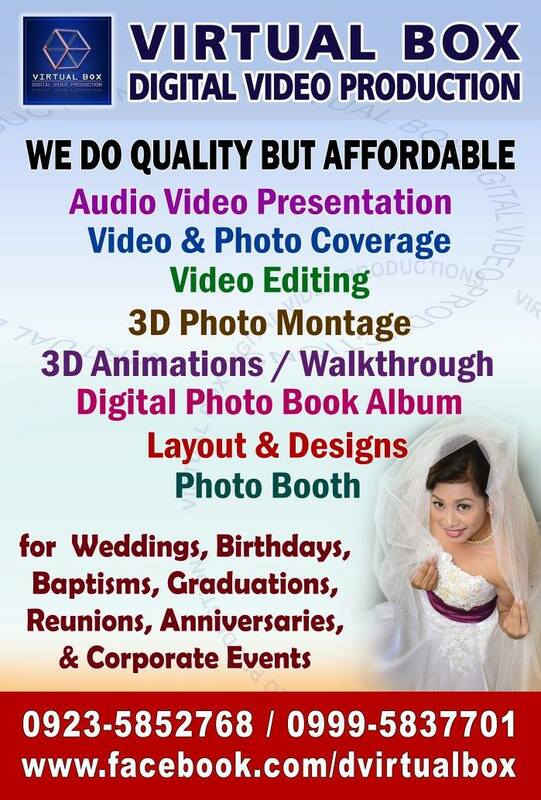 We started in Daraga, Albay in 2010 as a home based video production serving relatives and friends. 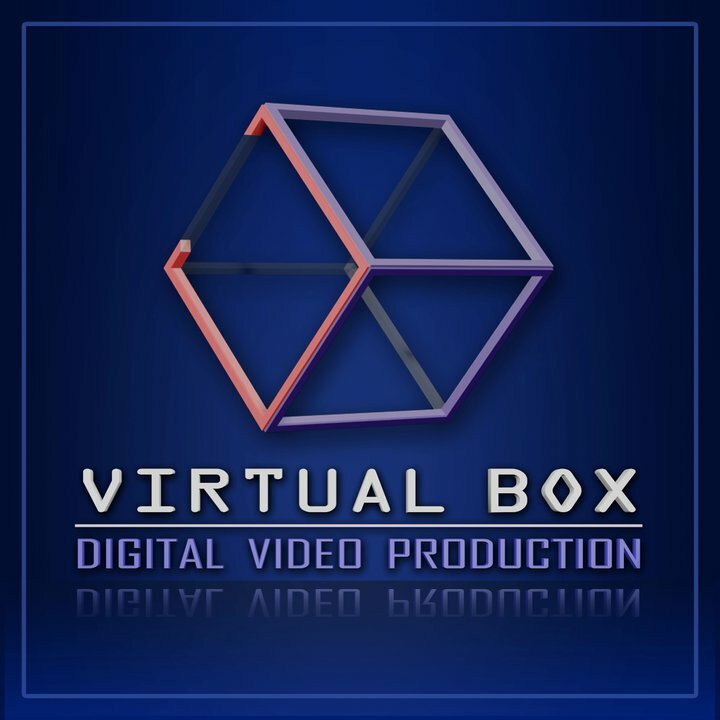 From then forward, we can describe our works from our very own name Virtual Box, keeping the traditional way of covering events, as we don’t want to lose its very essence yet combining creative thinking or open with out of the box ideas that are applicable on modern times. Our clients most often are those that are budget conscious yet ever aware of the importance of good and quality documentation. We have our hands on with all our works, hence we limit our coverage in a day to give the best of us. And to improve more our services, we have welcomed partners in the industry that are talented, effective and having that same passion on making clients happy. 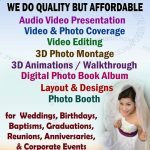 Hence, from videography & 3D animation, we have incorporated photography, designs & layout album printing, photobooth & multimedia rental to our services making Virtual Box a one stop shop for hassle free video-photo documentation.